Are you feeling a little stuck? Maybe you’re at a personal, professional and/or spiritual crossroads and aren’t sure of your next step. Maybe you’re looking for a community of women going through a similar transitional time. Perhaps you have an idea for your next venture/relationship/change in situation and need an extra kick. Or, maybe you have absolutely no idea what the future holds—not the faintest clue. We all go through periods of transition, but feeling stuck can be frustrating, especially if you don't have supportive community and leaders to guide you in the process. Our What's Next program was created to offer support, guidance, and tangible tools to discover your next chapter. We sat down with Linda Lesem and Laura Riordan, creators and facilitators for The Hivery's What's Next program, to learn more about how times of transition and uncertainty can lead to positive transformation. How did you get the idea for the What's Next series? Linda: The ball started rolling in late 2015 when I joined The Hivery with the intention of surrounding myself with wonderful women. As a coach, I was running a workshop called Mom’s in Transition. I heard about what Grace was doing and had to see what it was all about. I ended up hiring her for a coaching session and she invited me not only to create a similar, mom-focused workshop inside The Hivery, but she knew Laura already and told me that we had to meet. Laura: I met Grace in spring 2015 on a tour of The Hivery’s former space in Sausalito. We would have long conversations on our shared passion to help women. When Grace met Linda, she introduced us right away. As a nod to Grace’s gift for choreography, we hit it off and put together a workshop in just two weeks. What was the idea behind What’s Next? Linda: Laura and I have extensive backgrounds in the psychology of transition, and thought that if we could bring together our expertise and craft a workshop around helping women hone who they are and how they could create possibilities—it would be a huge hit. We offered our first What’s Next in early 2016 and it was true magic. To date, more than 100 women have gone through the program. What makes the workshop so magical? Laura: The intimacy of the group and the confidentiality that is involved makes it really special. Linda and I do a lot of personal coaching within the five weeks. Linda: It’s interesting; on the first day you can see everyone checking each other out. But then we talk about why we came and our hopes for the workshop and immediately you see faces light up. No matter what the situation, someone in the room relates to you. This seems like the perfect answer to September’s Hivery theme of overcoming fear. Laura: It really is. Fear is a universal feeling. A lot of what keeps us stuck is that we struggle with our internal and external worldviews. We easily compare ourselves to others and it can be hard to feel safe sharing our innermost desires and thoughts. Linda and I create a supportive space where all participants feel heard and encouraged. We see after just the first session where women come in tentative, they leave giddy and excited to come back the following week. What are a few notable stories to come out of your workshop series? Laura: There are so many! Jennifer Labovich came to us knowing she wanted to be a teen coach, but worried she wouldn’t be able to make enough money to support her children through college. She had a full-time teaching position and decided take make the leap and started Marin Teen Coach earlier this year. Linda: Sheryl Ott is another incredible story. She came to us with a passion to make an impact and tons of ideas. She got to the end of the five weeks and still wasn’t sure, so we offered her private coaching after the workshop and out of that she developed this incredible retreat offering called Dare To Detour, which just happened this month in Montana! We’ve actually partnered with her and provided some on-site programming to participants, as part of the retreat. Do all participants need to know what they want to change? Laura: Not at all, and that is an important distinction. While some What’s Next participants have gone on to open their own businesses, there are many success stories that unfold years later. Linda: Not everyone will come away with an epiphany, and that is totally OK. Our hope is that each participant will come away with the framework for how to access themselves and have a greater understanding for how to handle transitional periods in life, be that now or 10 years from now. We are so excited about the impact you are making and how you are helping women overcome fear or uncertainty. Is there anything else you’d like to add? Linda: I think the biggest thing is that What’s Next can be for anyone, regardless of what stage you are in. It is an honor for us to create this program for all women—even women who aren’t sure what they want to change!—to feel safe enough to get back to who they are. If you are in a transitional time and the exploration of your "what's next" resonate with you, consider The Hivery's What’s Next: 5-Week Workshop Series. 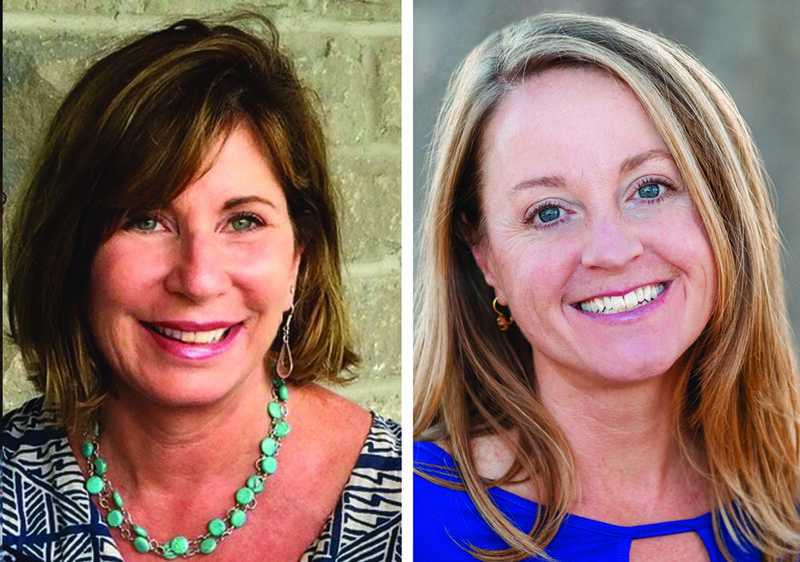 Co-led by Laura Riordan, Ph.D., and Linda Lesem, M.S., two veteran psychology experts and coaches specialized in helping clients through life transitions, the workshop covers everything from personality assessments and how to create life changes to how to establish actionable steps toward forward momentum. Limited to just 20 participants, the What's Next workshop provides an intimate, safe container for friendships to blossom and breakthroughs to occur. We are excited to announced our November What's Next session (starting November 8th). In order to provide personal attention, this course is limited to 20 participants, and typically sells out, so register soon! To learn more from workshop facilitators Laura and Linda, please join us for a free What's Next Information Session on October 16th at The Hivery. Or register for our November What's Next Session.